Trollope the reformer and the reformation of Trollope scholarship in relation to gender, race, and genre are the intertwined subjects of eminent Trollopian Deborah Denenholz Morse’s radical rethinking of Anthony Trollope. Beginning with a history of Trollope’s critical reception, Morse traces the ways in which Trollope’s responses to the political and social upheavals of the 1860s and 1870s are reflected in his novels. She argues that as Trollope’s ideas about gender and race evolved over those two crucial decades, his politics became more liberal. The first section of the book analyzes these changes in terms of genre. As Morse shows, the novelist subverts and modernizes the quintessential English genre of the pastoral in the wake of Darwin in the early 1860s novel The Small House at Allington. Following the Second Reform Act, he reimagines the marriage plot along new class lines in the early 1870s in Lady Anna. The second section focuses upon gender. In the wake of the Second Reform Bill and the agitations for women's rights in the 1860s and 1870s, Trollope reveals the tragedy of primogeniture and male privilege in Harry Hotspur of Humblethwaite and the viciousness of the marriage market in Ayala's Angel. 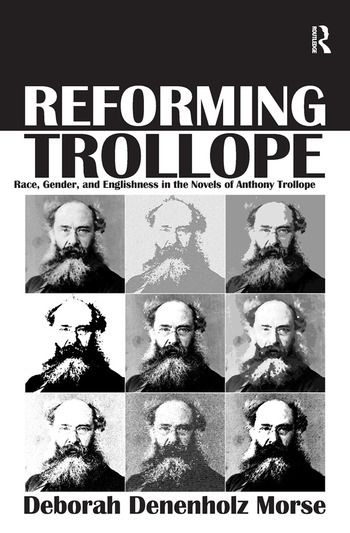 The final section of Reforming Trollope centers upon race. Trollope's response to the Jamaica Rebellion and the ensuing Governor Eyre Controversy in England is revealed in the tragic marriage of a quintessential English gentleman to a dark beauty from the Empire's dominions. The American Civil War and its aftermath led to Trollope's insistence that English identity include the history of English complicity in the black Atlantic slave trade and American slavery, a history Trollope encodes in the creole discourses of the late novel Dr. Wortle's School. Reforming Trollope is a transformative examination of an author too long identified as the epitome of the complacent English gentleman. Deborah Denenholz Morse is the Vera W. Barkley Term Professor of English and Inaugural Fellow for the Center for the Liberal Arts at William and Mary, as well as a Plumeri Faculty Excellence Scholar.